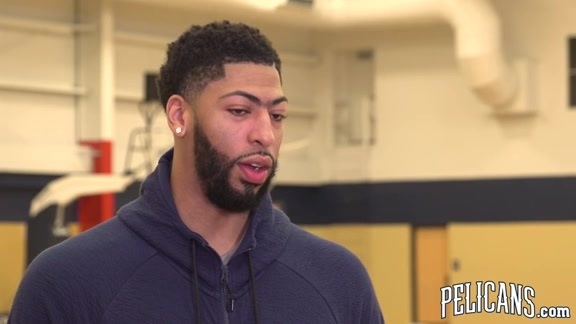 OKLAHOMA CITY – On paper at least, New Orleans faced its most beatable opponent Monday during a challenging five-game West road trip, while seeking its first victory. For two-plus quarters, the Pelicans seemed to have a reasonable shot at breaking through and avoiding a winless excursion, but the Thunder used a late-third quarter surge to create separation. Despite All-Star guard Russell Westbrook exiting the game with a third-quarter ankle injury, Oklahoma City maintained its lead in the fourth quarter, registering its fifth straight win after an 0-4 start. The Pelicans cut their deficit to as little as four in the final minute, but couldn’t cap a late comeback attempt. 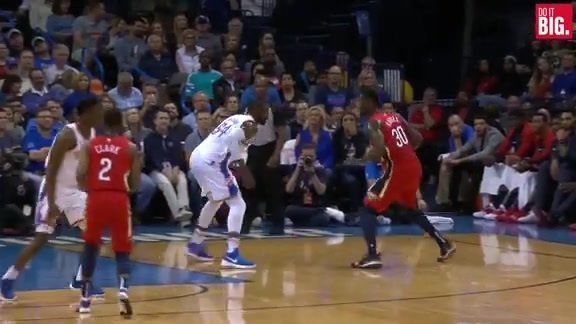 Turnovers proved extremely costly for New Orleans, which committed 18 through three quarters, leading to 28 OKC points. 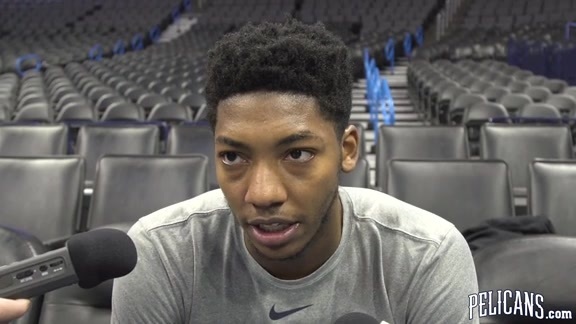 Following the game, Alvin Gentry emphasized having patience as New Orleans awaits the imminent return of starting point guard Elfrid Payton. 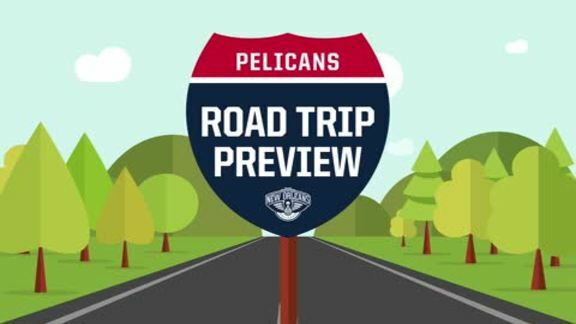 The Pelicans went 4-1 with Payton in uniform for the first five games, but haven’t won since. 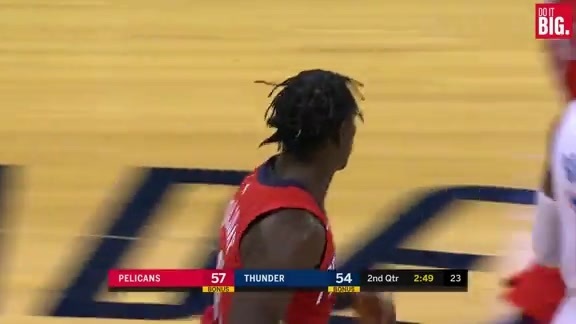 Jrue Holiday misfired on a three-point attempt, giving Oklahoma City possession and Paul George two free throws with 11 seconds left. 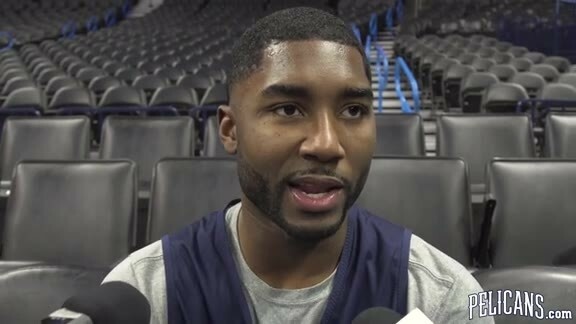 George connected on both to give OKC a six-point edge. 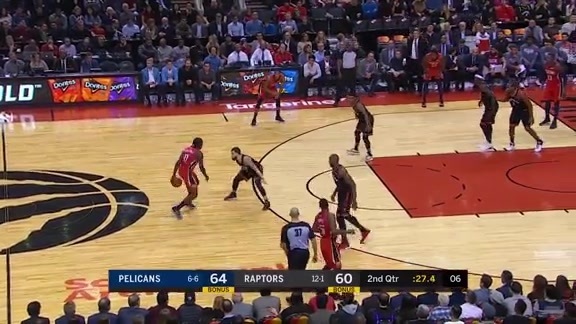 New Orleans turned the ball on the next possession, while trying to make an inbound pass. 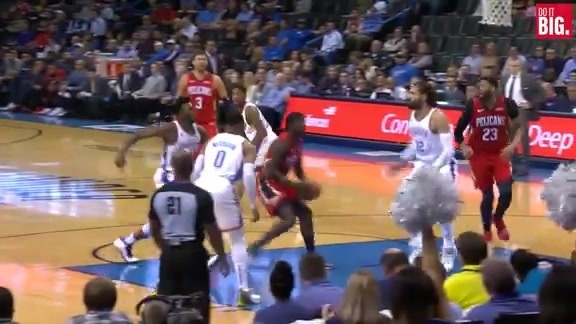 When New Orleans wasn’t turning the ball over, it was often getting the rock into the hands of Julius Randle, who was a handful and then some for the Oklahoma City interior defense. 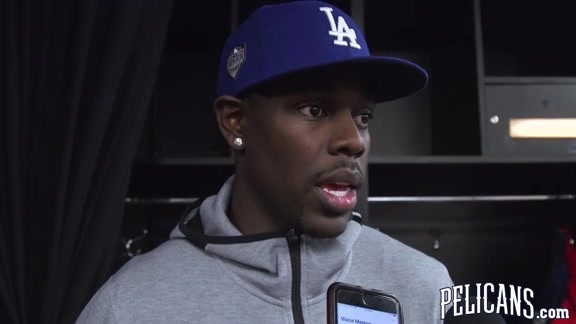 Randle repeatedly put his head down and drove to the basket, contributing a super-efficient offensive performance, at 10/10 from the field and 4/4 from the foul line (a nice bounceback from his 4/12 outing in San Antonio two days earlier). He also canned a pair of three-pointers to finish with a team-best 26 points. Randle added eight rebounds in his 28 minutes of action. 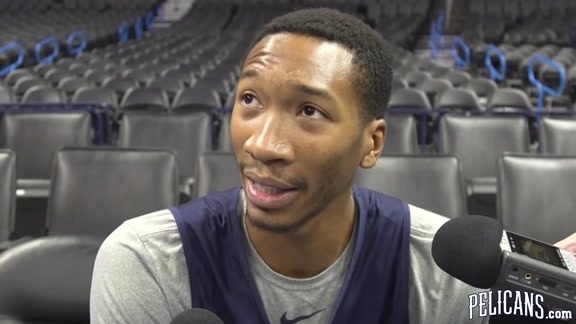 For a second straight game, Wesley Johnson started at the position, in Monday's case at least partly because Oklahoma City uses many big lineups that feature wings with length, such as Paul George, Jerami Grant and Terrance Ferguson. None of those three Thunder starters had above-average games shooting-wise, with Johnson frequently matched up vs. George (just 6/17 from field, 23 points). Off the bench, Darius Miller made a nice impact Monday in spacing the floor and connecting from three-point range, sinking three of his four attempts for nine points. 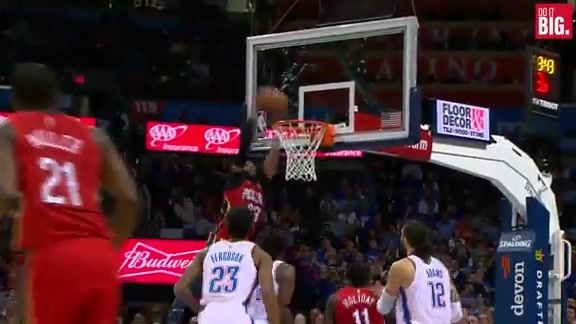 21: New Orleans turnovers, resulting in 28 Oklahoma City points. George led the Thunder with four steals, while Grant, Ferguson and Hamadou Diallo each had two. +12: Team-best plus-minus for Cheick Diallo. In 10 minutes of action, Diallo grabbed four rebounds and contributed defensively with two steals and one block. +22: Game-best plus-minus for Oklahoma City center Steven Adams, who was extremely effective in the paint. Adams posted 18 points and eight rebounds. 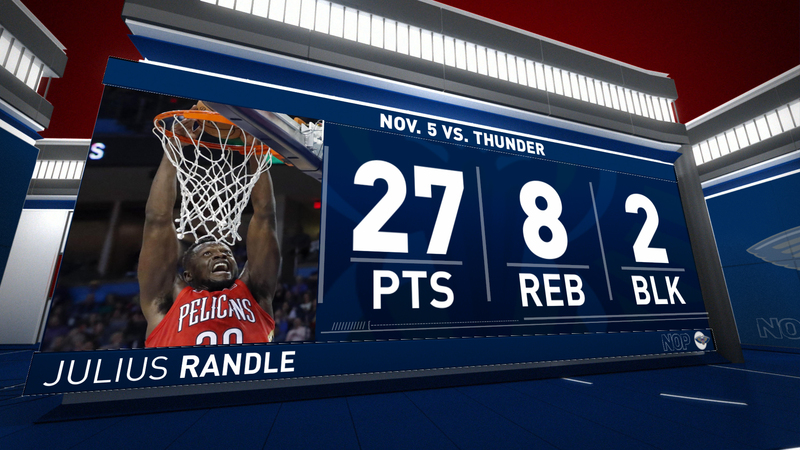 Pelicans Julius Randle tallied 26 points against the Thunder in the team's road trip finale.